Pathfinders Specialist Homelessness Services is the delivery of specialist homelessness services through the Going Home Staying Home reforms, with an increased focus on early intervention so people access the right support locally, when they need it and before they reach crisis point. Under this new system, people who become homeless will be rehoused as quickly as possible or supported in crisis or transitional accommodation until they can be safely housed or reconnected with family. Young people aged 16 to 25 years old, Aboriginal and Torres Strait Islander young people, and young people from cultural and linguistically diverse backgrounds will be given priority of access. provide independent living skills training programs to enhance the well-being of families, children and young people in the local community and the wider region. The Inverell Women and Children’s refuge supports women, children and young women over 16 years who are homeless or at risk of homelessness, including those affected by domestic and family violence. Support is provided in the Inverell and Glen Innes Local Government areas, with regular servicing of outlying communities including Tenterfield, Deepwater, Emmaville, Drake, Red Range, Wallangarra, Ashford and Gilgai in the response to need. These services assist young people, women, men and families who are homeless or at risk of homelessness. The target group includes women and children affected by domestic and family violence, young parents, young people under the age of 16 years and young people leaving care or other institutions. 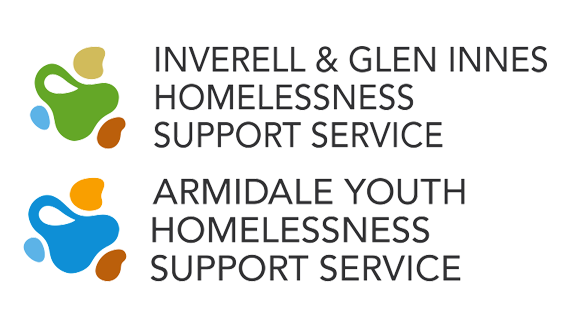 Support will be provided in the Inverell and Glen Innes Local Government areas, with regular servicing of outlying communities (including Tenterfield, Deepwater, Emmaville, Drake, Red Range, Wallangarra and Ashford) in the response to need. This Service has a strong focus on responses for Aboriginal, young people, women, men and families and is accessible to people from culturally and linguistically diverse backgrounds.